Missed the latest episode of "Lost"? Now you can watch it live online, without shelling out for a download from iTunes. ABC went live this week with a new service that offers streamed versions of four television shows–"Lost," "Desperate Housewives," "Alias" and "Commander in Chief"–on the Web, complete with nonskippable commercial breaks. The program is, for now,, just a two-month trial–one that happens to coincide with May sweeps). Bloggers were generally pleased with the video quality and ease of use. Could offering television online finally be the way to beat file sharing? ~ I hope it’s in good quality. Snoop Dogg is one of rap’s biggest stars. LONDON, England (Reuters) — American rapper Snoop Dogg was in police custody on Thursday after being arrested with five other men following a disturbance at London’s Heathrow airport, a police source said. Scotland Yard said seven police suffered minor injuries, including a fractured hand, after they were called to the airport at around 6 p.m. (1700 GMT) to deal with a disturbance involving some 30 people in a British Airways business lounge. Attorney #1: I stepped on a baby bird this morning on the way into the courthouse. Attorney #2: The jokes are right. We don’t have souls. Loudspeaker: Careful crossing the street!…And don’t drop your mittens! Girl #1: Where is that voice coming from? Girl #2: I’m not sure. Girl #1: Oh, it must have been the cop. Cop car: It wasn’t us! 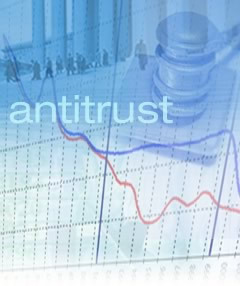 Judge rules documents may have used misleading information to convince the government to abandon a major antitrust probe. Guy: Wait, you slept with him even though he told you he was gay first? Guy: He was gay after, though, right? The First Picture of Baby Suri! WOW Report has scored the first exclusive picture of Tom and Katie’s alien baby, Suri! She doesn’t so much look like an alien as she does a little alligator/dino. She does have her father’s eyes and his teeth too, actually.